Where other pianists play two or three notes, Blake hits one, and then stops and lets the silence reverberate. 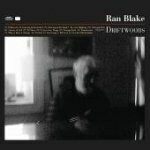 Ran Blake must be the quietest jazz pianist of all time. For five decades, he has released creative works that paradoxically are full of empty spaces. His latest solo effort reveals that Blake’s still the master of minimalism. Where other pianists play two or three notes, Blake hits one, and then stops and lets the silence reverberate. Here he takes on songs made popular by his favorite singers, a diverse group of notables that include the bluesy Billie Holiday, the smooth jazz of Nat “King” Cole, the country crooning of Hank Williams, the Brazilian beat of Milton Nascimento, and the Gospel stylings of Mahalia Jackson. Blake makes the songs his own as he transforms the old standards into new compositions, in a manner comparable to when a painter like Ellsworth Kelly borrows a color red from a Van Gogh painting and makes it the subject of his work. The results make such recognizable tunes like “You are My Sunshine”, “Lost Highway” and “Strange Fruit” into something totally unfamiliar and beautiful. On the whole, the album is soft and lovely and begs to be heard when one seeks the quiet of solitude.